Melvin Arvin Remillard, age 60, of Loveland, went to be with the Lord on Tuesday, January 29, 2019. Melvin is survived by daughters, Meggen Remillard of Colorado and Brittany Remillard of Washington, parents George and Darlene Remillard of Colorado. His sisters Aleitta Remillard (Sage) of Colorado, Connie Troncoso (David) of Colorado, Sandi Bertoni (Christian) of Texas, Shelly Schmerold (Carl) of Missouri and several nieces and nephews. He is preceded in death by his brother Edwin George Remillard. Melvin was born on June 18, 1958 in Harvey, North Dakota, to parents George and Darlene Remillard. He was the second born of six children. Melvin was loving, gentle and kind to all. Anyone who had the pleasure of knowing him knew he loved good conversation, good food and time with family. He attended The Church at Longmont where he was active in teaching others and never missed a service. 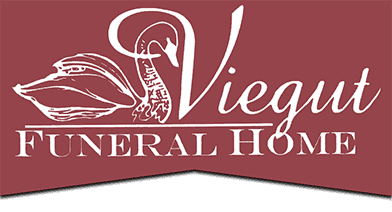 A funeral service will be held at Viegut Funeral Home on Monday, February 11, 2019 at 10:30 am. with viewing 1 hour prior to services. Cremation will be completed following services. Inurnment will be held at Resthaven Memorial Gardens on Tuesday, February 12, 2019 at 10:00 am. In lieu of flowers, a gofundme.com page, in Melvin’s name, has been set up to help cover funeral and burial costs.